Karen Abbott has made her mark writing about some of the more fascinating women in American history. Her book, Sin in the Second City, featured the sisters Minna and Ada Everleigh who owned the most famous brothel in America, the Everleigh Club, in the early 1900s.American Rose was about Gypsy Rose Lee. For her book, Liar, Temptress, Soldier, Spy, Abbott discovers and writes about four women — two who supported the Union and two who supported the Confederates — who took huge risks to help their respective sides during the Civil War. The book is this year’s Centre County Read selection, and Abbott will give a talk March 16 at the HUB-Robeson Center. She took some time to discuss her work and, among other things, what actresses she’d love to see play the main figures in Liar, Temptress, Soldier, Spy. T&G: Have you always had a passion and interest in history? Abbott: I had no interest in history growing up. I was an English major in college and I planned on going to law school. … I got a job at a magazine in Philadelphia and it was sort of overwhelming. I was doing journalism for six years. I remember I was with my grandmother, who is now 97, and she told me about her mother and her mother’s sister and how they immigrated from Slovenia in 1905. They went to Chicago one weekend, and my [great-grandmother’s] sister was never heard from again. I decided to look into what was going on in Chicago in 1905, and I came upon Marshall Field Jr. getting shot and it was rumored that he was shot inside the famous brothel, the Everleigh Club. It was run by two sisters and it catered to famous men from all over the world. I found these two women to be interesting, and I had a love affair with history every since. T&G: How did you decide to write about the Civil War? Abbott: I moved to Atlanta for six years, and they’re still fighting the Civil War there. You see Confederate flags on lawns. The Civil War seeps into conversations. I remember I was on Route 400. I was stuck in traffic for two hours and ahead of me was a car with a bumper sticker “Don’t blame me, I voted for Jefferson Davis.” My mind began to think, “What were women doing during the Civil War?” And sure enough, I found four who acted as spies and made a mark in their own ways. T&G: There’s a possible miniseries in the works for Liar, Temptress, Soldier, Spy. What would your dream cast be for it? Abbott: Yes. TNT is on board. They hired a screenwriter. My dream cast? I have to get Jennifer Lawrence. I think she’d love to play Belle Boyd. Hilary Swank for Elizabeth [Van Lew]. For Mary Jane Bowser, Viola Davis. Ellen Page as Emma [Edmonds]. Maybe Reese Witherspoon for Rose Greenhow. T&G: What do you hope people learn after reading your books and reading about these women? Abbott: Women don’t have to be afraid about consequences. They should be allowed to take risks if you think it’s the right thing to do in the moment. Don’t be afraid to use your voice even if society tells you it’s not appropriate to use them. These women proved that they should be used. T&G: Can you discuss the book you’re working on now? Abbott: I can’t really discuss it now, but it features another strong woman in history — but this time, a man gets some equal billing! Penn State spokesperson Lisa Powers responds to a column published last week on StateCollege.com. 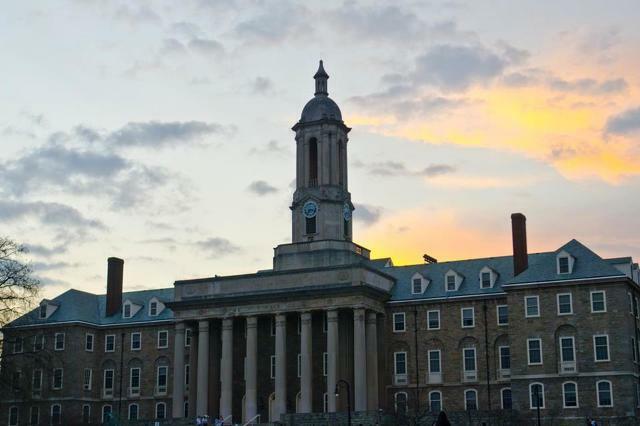 We felt it necessary to correct the inaccuracies presented in John Hook's March 1 column "Time for Penn State to Cut Ties With the State Appropriation?"